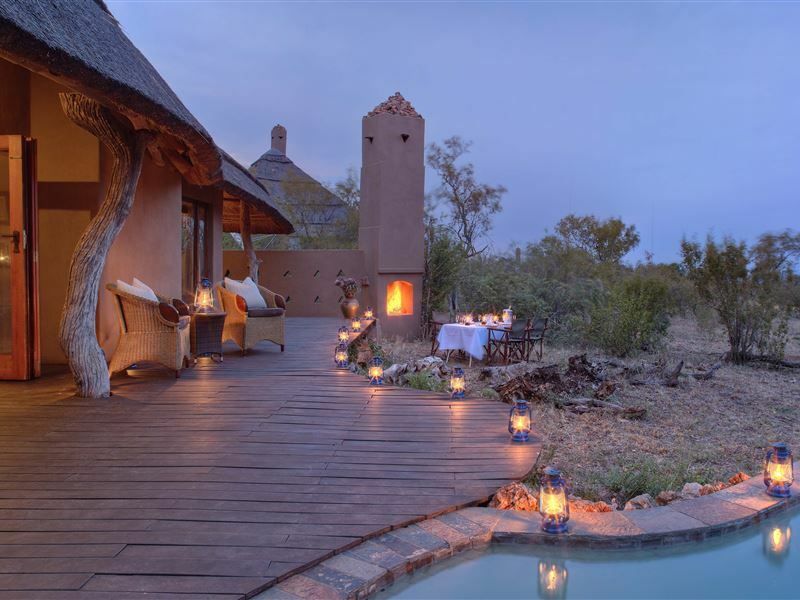 The adventure begins the moment you arrive at Madikwe Game Reserve. 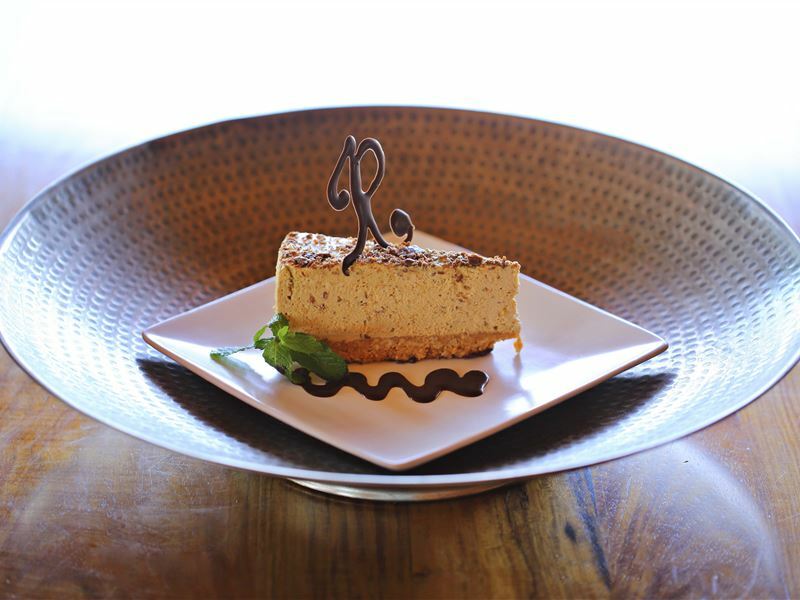 A wonderful welcome awaits you at the main lodge, Rhulani means Relax so sit back and enjoy. Creating Rhulani has been both stimulating and inspirational, we set out to transform the ordinary into the extraordinary, to build a modern day refuge, an oasis of calm, a place to nourish the soul and lift the spirit. 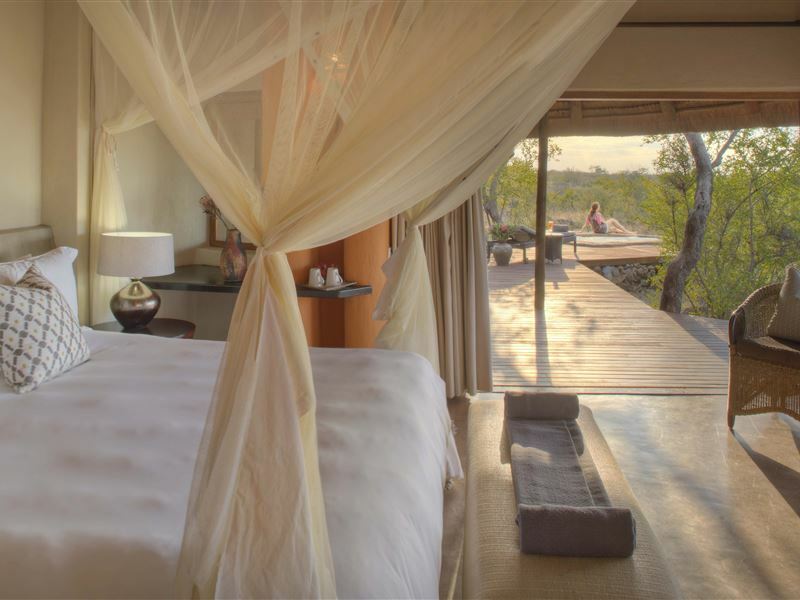 We invite you to experience the serenity and harmony of this special place with us; come celebrate nature, celebrate life. 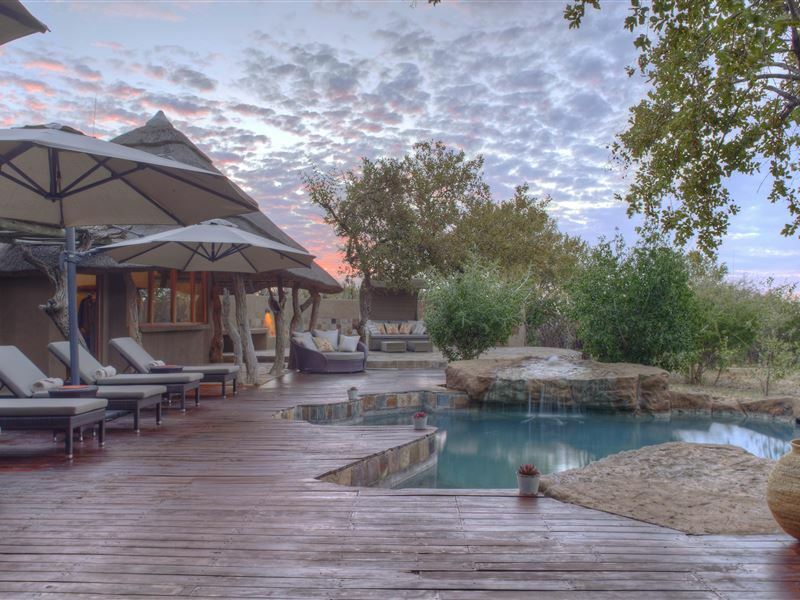 Water cascades gently into the meandering rock pool around which you will find ample sun or shade provided by beautiful old Marula trees, an ideal spot for quiet contemplation. 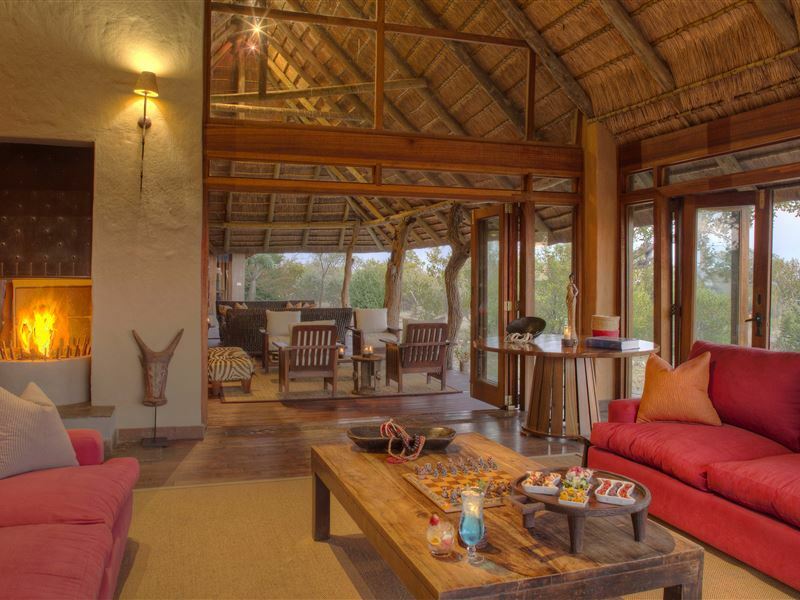 Indoors and outdoors merge effortlessly at Rhulani, ensuring you magnificent views of the bush. 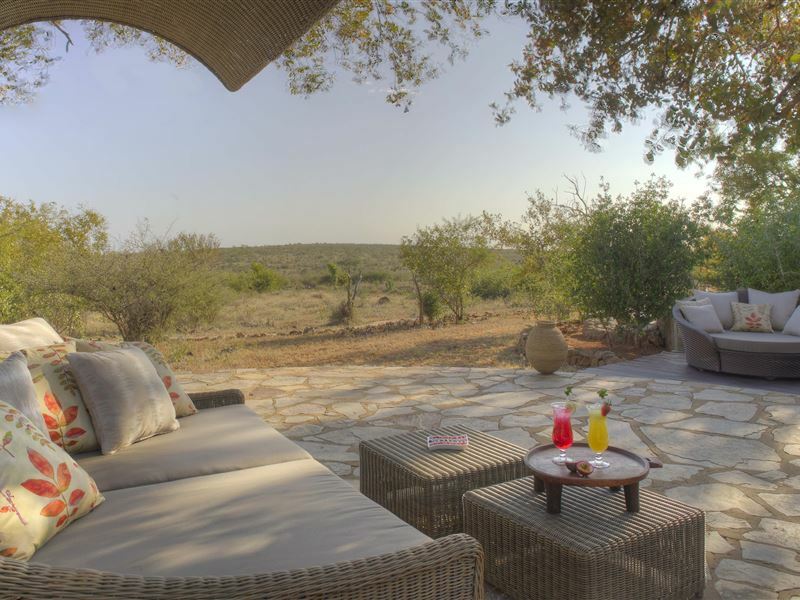 Sit and meditate awhile; your comfort is assured as you relax surrounded by earthy rich African colour and our warm hospitality. 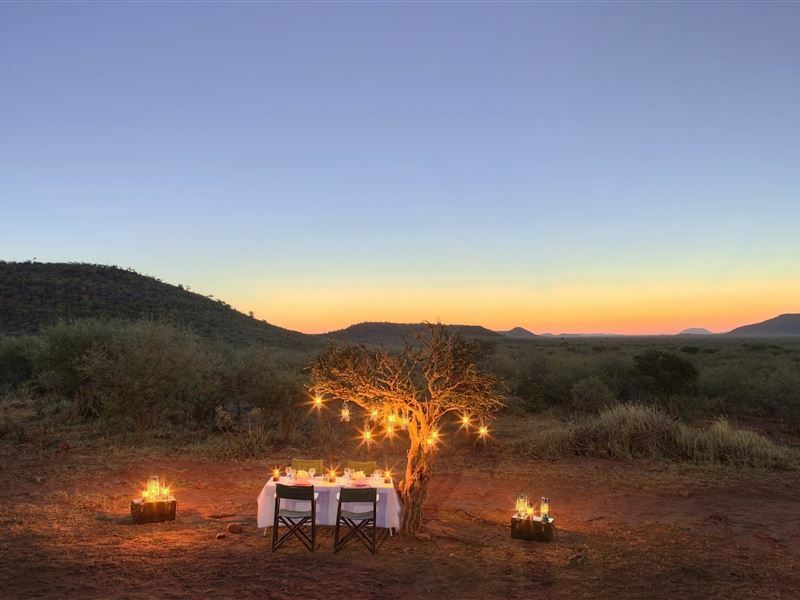 Dining alfresco under a glorious African night sky, warmed by a roaring fire is a magical way to end a perfect day. 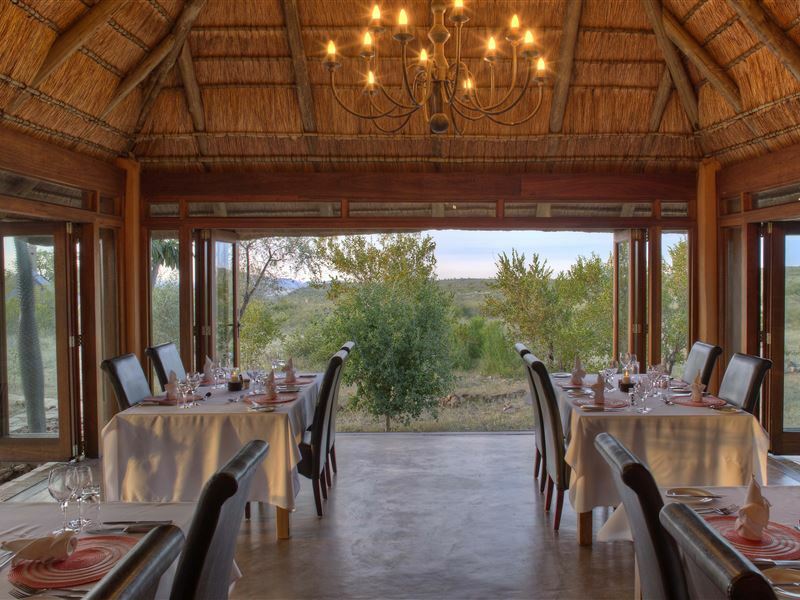 Traditional Southern African cuisine is complimented by a selection of world-class local wines. 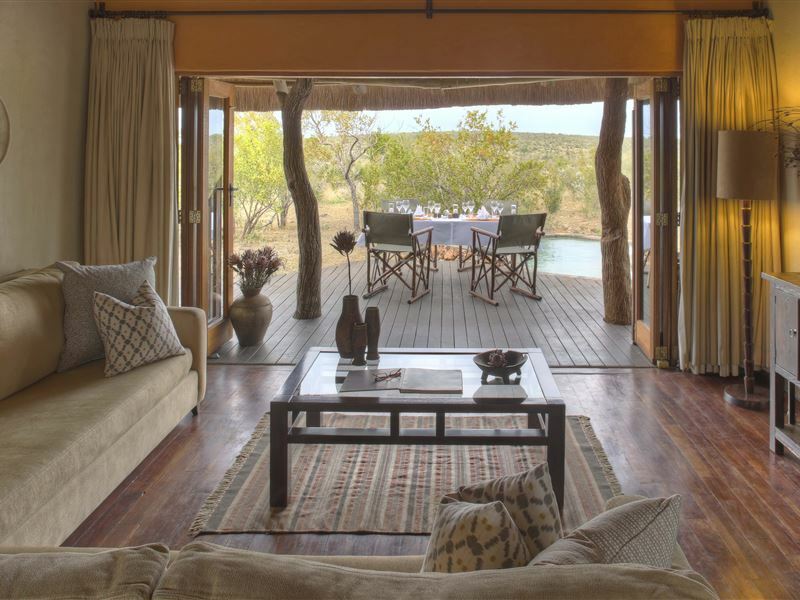 Sensational game viewing opportunities await you at Rhulani, whether from the open Land Rover or on foot with your experienced game ranger or from right in front of the lodge at the nearby water-hole. Check out our guest feedback page for their candid comments. Succumb to the peace and tranquillity of this spectacular setting. Enjoy total privacy and your own plunge pool while you pamper yourself in the spacious luxury of your chalet. No children's rate. 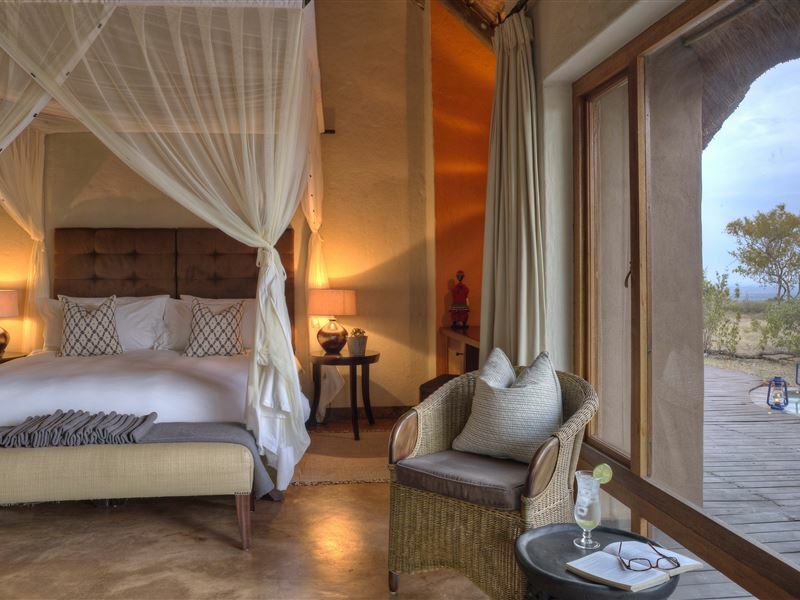 Any guest staying at Rhulani will be charged the full adult’s rate, single or sharing. The new fees are as follows: Madikwe Game Reserve park entry fees: Self Drive R50.00 per adult and R20.00 per child/pensioner. Flying in R100.00 per adult and R40.00 per child/pensioner. We enjoyed our stay very much. The place is very well managed and the staff very friendly. The food was delicious and the service very good. We hope to come back soon. We had the most fantastic time in Rhulani, the service, the food, the environment, the quality of the bungalows, everything made our stay fabulous. I must say that the team was great with the kids as well, perfect food and perfect care. We keep unforgettable memories of this safari.